Welcome to A Well-Designed Business! We have Tina Ramchandani, a really smart lady and the founder of Tina Ramchandani Creatives, with us on the show today. Tina is another interior designer who started her career by training at a well-established and well-run New York design firm and we know that it really makes a difference when young designers cut their teeth this way. Tina started her own design business in 2014 and in four short years, she has managed to establish herself as an interior designer on the rise. 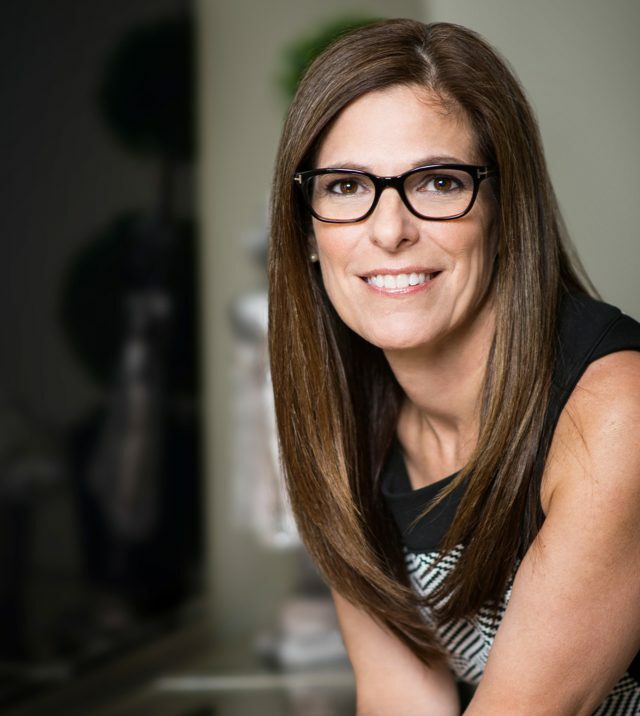 She was recently named one of House Beautiful Magazine’s 2018 Next Way Designers and she has been featured in Elle Decor, The Wall Street Journal, Architectural Digest, Cottage and Gardens, and more. 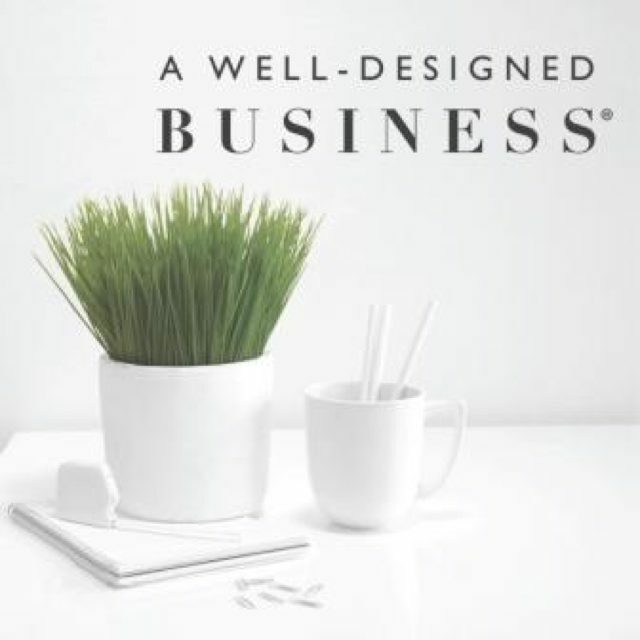 Listen in today, to find out about Tina and her really successful design firm. In today’s episode, Tina talks to us about her experience of working for the top-tier New York firm, Vicente Wolf and Associates, prior to opening her own design business. 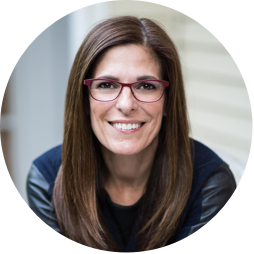 She discusses some of the practices that she has instituted in her firm, like her strategy for establishing monthly tasks in her business, to ensure that she’s paying attention to the experience she’s giving her clients. Today, Tina and LuAnn also talk about their involvement in the upcoming Designer Showhouse, Grace’s House, by the Valerie Fund. LuAnn is on the committee, and Tina is one of the designers. Many of the designers selected to participate in bringing this really special home back to its former glory have been featured on this show, so we’re giving all of them a special shout-out today, in appreciation for all that they are doing for our children! Tune in now to find out more! Window Works will be working with Tina and the other designers, doing window treatments and pillows for the Valerie Fund showhouse, Grace’s House. Tina talks about her amazing experience and the confidence she gained from working for Vincente Wolf for five years. 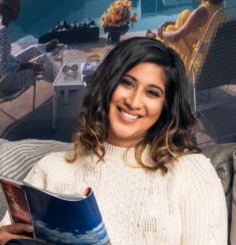 What Tina learned from working for Vincente Wolf, that she’s brought to the way she runs her own firm, Tina Ramchandani Creative. The way that Vincente Wolf managed to inspire Tina’s confidence. The natural way that Tina empowers her junior designer, Kay, in the same way, that she was inspired by Vincente. Learning to trust the people you have hired. How Tina knew that it was the right time for her to leave her mentor, Vincente. How interior design principals gain from giving their all to their junior designers. The systems that Tina initially took away from Vincente’s firm. The way that Tina tweaked and changed some of Vincente’s business systems, to work with the way she works. Tina and Kay sit down at the beginning of each year and assess the things that are not working and the things that need to change in the business. Tina discusses the goals that she and Kay set for each month. Tina and Kay meet each week to discuss what needs to be done in the business. Having outside help has really assisted Tina in running her own business. Tina has built in specific times of the month to address her business operations. The pressure that comes with being driven in business. Tina talks about the awesome Valerie Fund. All about the showhouse, Grace’s House which is going to open on April 25th, 2019. There are many special events which will be happening at the opening of Grace’s House. Tina talks about the colorful room that she is is designing in Grace’s house. Benjamin Moore has kindly sponsored all the paint for Grace’s House. Getting things to run smoothly when the pressure is on. Tina discusses the event that she is going to be doing with a women’s group on the 15th of May, to raise money for the Valerie Fund. LuAnn is having a book signing for her new book, on the 30th of April, at 6 pm, at Grace’s House. Tina Ramchandani Creative (TRC) is a full-service design firm that creates modern, sophisticated and relaxed interiors. TRC’s turn-key service makes it easy for clients to move into a completed home with minimal stress. Tina Ramchandani incorporates her vast experience and global perspective into her signature style that delivers a warm layered aesthetic, enhancing your lifestyle and inviting you to truly “live” in your bespoken space. Tina places a strong emphasis on artwork, couture pieces, and custom elements, within the client’s budget. While creating a unique, livable environment for clients, Tina incorporates local artists and artisans to bring spaces to life, and showcase clients’ personalities in their homes. TRC has developed a complete and individual onboarding process, which allows Tina to get to know clients and their needs in depth. Clients will share their inspirations with Tina, while also sharing details of how they live in their space, what they are looking to improve or change, as well as what they are interested in aesthetically. Tina and her team then create two complete design presentations for clients. First, the team offers a preliminary meeting, with floor plans and layouts, furniture styles, lighting pieces, fabrics, colors, and art inspirations. After honing in on the direction, TRC develops a comprehensive presentation for clients, soup to nuts. Tina and the team present every item in the space, from furniture to lighting and floor covering to window treatments. This allows clients to see the design vision in its entirety. Once approved TRC takes care of everything, so clients can sit back, relax, and watch their space come together. Tina Ramchandani developed her design expertise with several top tier, high-end residential and commercial interior design firms in Manhattan, including Frank & Marcotullio Design Associates and Vicente Wolf Associates, which led to the formation of Tina Ramchandani Creative in 2014. Ms. Ramchandani is deeply appreciative of good design and passionate about the impact social awareness can have on one’s life. Tina’s work has been nationally recognized by publications including Elle Décor, The Wall Street Journal, Architectural Digest, Cottages & Gardens, Lonny, Gotham, Cover, she was most recently named a “2018 Next Wave” designer by House Beautiful. She is also the founder of Life in Sketch, an internationally recognized interior design blog where she shares what inspires her in the world of design at large, from her daily experiences in New York to her extensive travels abroad. Maplewood, N.J. January 14, 2019 – In May of 2018, nine-year-old Grace received a devastating diagnosis: she had a Germ Cell Brain Tumor. Grace’s treatment brought her to The Valerie Fund Children’s Center at Newark Beth Israel and after rounds of chemotherapy and radiation, she is recovering well. Her grateful family sought ways to give back to the organization that was taking such good care of their daughter and granddaughter. Last June, they spearheaded an extraordinary fundraising effort during The Valerie Fund’s annual 5K Run and Walk in Verona Park, Verona, NJ raising close to $32,000. Grace’s grandfather, Dan Reichard, a builder and principle of ER Development was interested in collaborating further with The Valerie Fund. He and his partners Thomas and George Allen purchased a 7,000+ square foot Colonial Revival in Plainfield, NJ restoring original elements and preparing it for featured designers to showcase their visions. Christened Grace’s House, the mansion is located in the historic Hillside Avenue district and will eventually be for sale, but in Spring 2019, the public will have the opportunity to tour approximately 20 of the house’s rooms, nooks, stairways and landings, and other spaces across three floors. “Building a Brighter Future for The Valerie Fund Kids.” Proceeds from public and private tours of the showhouse as well as ad journal sales and sponsorships will benefit The Valerie Fund’s Green Light Initiative, a $5,000,000 Capital Campaign. This initiative is the most ambitious chapter in The Valerie Fund’s history to date, poised to extend “next generation care” to thousands of children fighting life-threatening diseases. The Valerie Fund is proud to recognize Design NJ as a media sponsor, Holby Valve, Coughlin Duffy LLP, Stephen and Tina Squeri as sponsors and Worldwide Wholesale Floor Coverings as a sponsor and a designer resource. Generous in-kind sponsors already committed to the project include Benjamin Moore, Dente Trading Classic & Luxury Stone, Swarovski and Window Works. At The Valerie Fund each year, Grace and 6,000 other precious children benefit immeasurably by receiving their medical treatment close to home in a child-centered environment. Individualized support from an entire psychosocial team – Integrative and Palliative Care Specialists, Psychologists, Social workers, Child Life specialists, and Educational liaisons — makes sure their quality of life is the best it can possibly be without regard to insurance reimbursements. And Grace’s favorite – Camp Happy Times, is a free one-week overnight summer camp for children with cancer. To see the amazing house transformation, Grace’s House will be open to the public every Thursday through Sunday beginning Thursday, April 25th through Sunday, May 19th. Tickets for the house tours are $30 on The Valerie Fund website The Valerie Fund and $35 at the door. About The Valerie Fund: After their nine-year-old daughter Valerie succumbed to cancer, founders Sue and Ed Goldstein were determined that no family should have to travel great distances to receive superior medical care. Along with a group of close friends, they began fundraising efforts from their living room—tireless work that would lead to the 1977 opening of New Jersey’s first pediatric oncology facility at Summit Overlook’s Hospital. More than 40 years later, The Valerie Fund’s mission remains that of supporting comprehensive health care for children battling cancer and blood disorders. Seven Valerie Fund Children’s Centers are located in the metropolitan New York and Philadelphia areas.